If you’re looking for a cute chocolate turkey treat for Thanksgiving that’s easy to make and fun to display, look no further. 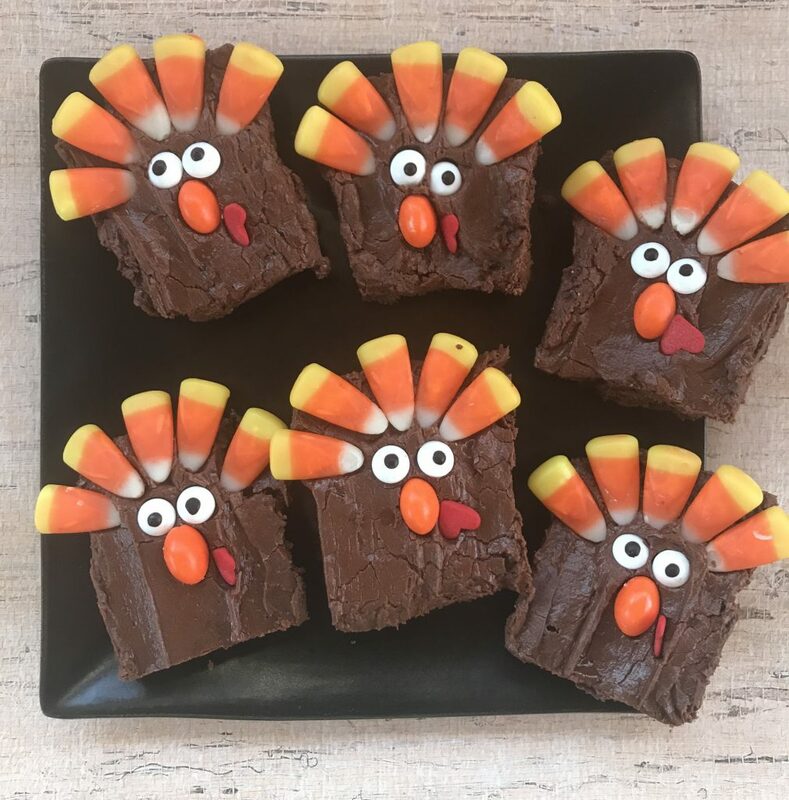 These chocolate turkey brownies are as delicious as they are adorable! 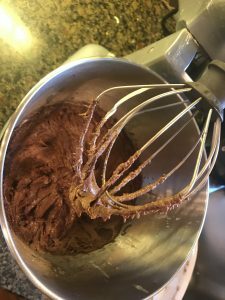 If you’re in a hurry, a box mix and prepared frosting can be substituted for the recipe below. Preheat oven to 325 degrees. 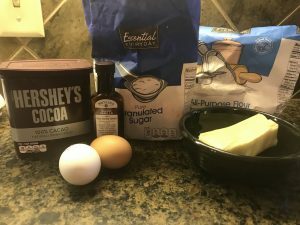 Mix above ingredients until well-combined. Grease a 9×9 glass pan. 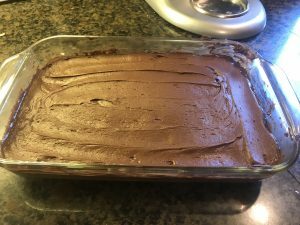 Spread brownie batter in the pan (it will be very thick) and bake for 25-30 minutes. Allow brownies to cool completely before frosting. Cut the brownies in twelve rectangles. Take five candy corn candies, and press them into the top of the rectangle overlapping the edges slightly, for the turkey’s feathers. Place the Wilton Candy Eyes underneath, then the orange M&M candy for the beak, and the red heart for the turkey’s wattle.